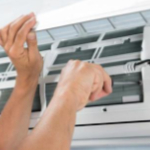 We have been servicing Air Conditioning units for residents and businesses throughout Sunshine Beach for over 5 years. All of our Air Conditioning technicians are nationally recognised in both Air Conditioning Installation, Servicing and Repair. If you are looking to install, repair or replace your existing air conditioning unit we're here to help. Talk to our staff today to find out how we can help you to achieve the perfect temperature in your home. Our staff can help you with the installation, repair and maintenance of existing air conditioning systems in Sunshine Beach. Both commercial and residential.